•To support men and their families on the journey with prostate cancer. •To increase public awareness of the disease. •To provide a strong provincial voice in matters relating to prostate cancer. 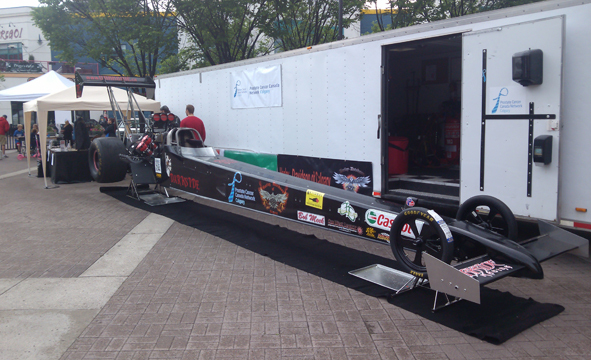 The Dark Side Racing Top Fuel Dragster will be on display June 21, 2015 at the Do It For Dads Walk and Run in Eau Claire Market. Participate or spectate, just come on by and say hi! 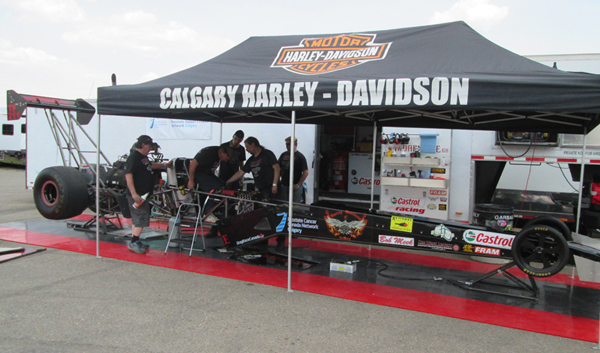 Dark Side Racing is a proud supporter of PROSTAID Calgary and we look forward to connecting with our fans throughout the summer. Additional Information: Join us after the run for lots of great food, prizes and live entertainment. Parking Details: More information coming soon! Tips for event day: Dogs and strollers are welcome! There are event water dishes available for dogs at the start line and the water station half way through the route. Rollerblades, scooters and skateboards are not permitted, as dictated by the City of Calgary Parks regulations along all river pathways. Tips for weather: If it looks like rain and you want to bring extra gear, we have bag and coat check available at the registration booth. Special activities taking place: Dark Side Racing, face painting, and Snickles the Clown who will be doing Magic! Fulfilling dreams of personal freedom is more than a phrase. It’s Harley-Davidson's purpose and their passion. They bring a commitment of exceptional customer experiences to everything they do – from the innovation of their products to the precision of our manufacturing – culminating with their strong supplier and dealer networks. It's a great place to spend a Saturday afternoon! Please let us know what you think about out our brand new wrap!